Technology: Surface Grinding Services are alternative material removal methods to milling and planing. It is used for finishing flat surfaces, as opposed to cylindrical grinding which is used for finishing cylindrical forms. Surface grinding is usually done as either a rotary or reciprocating process using either the perimeter or face of the grinding wheel. 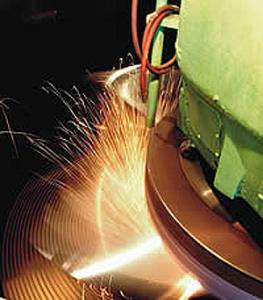 Blanchard grinding is a variation of surface grinding used to remove stock from very large pieces. Surface grinding can be done manually or on fully automated machines. Advantages: Surface grinding services are useful for finishing hard or abrasive work. Applications: Surface grinding services are characterized by their ability to grind materials that do not machine well.